According to the American Academy of Periodontology, gum disease is the single most common disease in the United States, affecting approximately 64.7 million Americans. That’s more than half of adults aged 30 and over, and the statistics only grow higher in patients over the age of 65. It is also the leading cause of tooth loss in America. Like heart disease, gum disease can be accurately described as a silent killer. This is because it is correlated with a broad range of potentially fatal illnesses and complications. Early diagnosis and consistent treatment of periodontal disease are the two key factors in reducing the patient’s risk of associated health conditions, including heart disease, pancreatic cancer, premature birth, Alzheimer’s disease, stroke, respiratory illnesses, and more. Gum disease is a chronic infection of the gums and bone tissue that support the teeth. 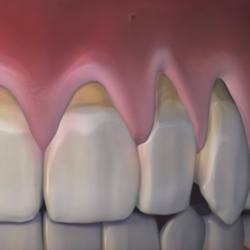 It is characterized by inflammation of the connective tissues that comprise the gums and often results in swelling, redness, and bleeding during and after brushing. When food debris, plaque, and tartar cause the gum tissue to become inflamed and recede, the bacteria spreads deeper into the periodontal pockets near the base of each tooth. As the infection of the gums continues to progress, the prospect of resultant tooth loss becomes very real; this possibility underscores the importance of early treatment and vigilant periodontal therapy visits. While there is no definitive cure for periodontal disease, proper therapy can effectively halt the spread of infection and the worsening of symptoms. Management of the infection via periodontal therapy can drastically reduce and even eliminate noticeable symptoms like bleeding and tenderness, simultaneously reducing your risk of tooth loss and related systemic health conditions. Dr. Wagner can detect early warning signs of gum disease at your regular dental checkups, offering recommendations to stop the disease in its tracks. At this stage, prevention might be as simple as changing your brushing technique, improving your flossing routine, or changing the products you use for oral care at home. If a conservative, non-surgical approach cannot eliminate all of the disease’s progress, we are fortunate to have a periodontist as part of our team! Expect to attend more frequent hygiene visits so we can monitor your condition and make sure that recovery is on track. Gum Grafting – When the gums have receded to a dangerous level, your vulnerable tooth roots are left without coverage and protection. During a gum graft procedure, the doctor will use gum tissue either from your palate or a donor/bank to cover the endangered area. This should create a more aesthetically pleasing gum line, reduce uncomfortable sensitivity, and help prevent further decay from occurring. Pocket Elimination – Ideally, your bone and gum tissue should fit closely around the teeth, but periodontal disease can result in severe deterioration that leaves deep pockets there instead. These pockets provide an optimal space for infectious bacteria to live and thrive, which is very dangerous for your remaining healthy bone. When reducing the periodontal pockets, the tissue will be folded so that the bacteria can first be removed. Then, the tissue is secured in place, effectively halting the progression of the disease. These can sound like scary procedures. However, the latest surgical techniques have made them much easier than they were just a couple years ago. If stress and anxiety are a problem, please read up on our I.V. and Oral Sedation options, which can enable you to receive the needed treatment in a much more comfortable and relaxed atmosphere. Before and after therapy, expect to have more frequent hygiene visits so that Dr. Wagner and his team can monitor your condition and make sure that your recovery is on track. Combined with comprehensive periodontal therapy, a diode laser for soft tissue procedures can remove and reduce some periodontal infection. This type of treatment also promotes the reattachment of gum tissue to teeth. 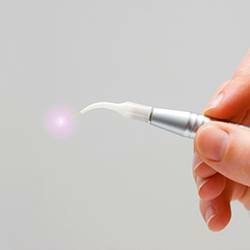 Laser dentistry is precise and conservative in comparison to traditional therapies. Some patients do not even need anesthesia during laser therapy, as the laser eliminates the need for cutting with a scalpel. Patients vastly prefer the laser method we use, citing faster recovery times and a virtually painless procedure. As part of our commitment to pursuing the latest and greatest in dental procedures as they’re developed, our Jacksonville Beach practice is now provided to offer the state-of-the-art Chao Pinhole Surgical Technique® as an alternative to traditional soft tissue grafting. During the process, a small hole is created in the gums above the teeth, allowing our doctors to gently move the surrounding soft tissue back into place over the root of the tooth in a minimally invasive, comfortable fashion. Instead of having to undergo a recovery process that’s days long, patients can return to their regular routines immediately after this state-of-the-art treatment! Third molars are the last permanent teeth to fully erupt into an adult smile, typically making their appearance when the patient is around 16-22 years of age. Unfortunately, our mouths are evolving to no longer include space for these teeth, resulting in painful partial or full impaction, increased risks of infection, dangerous overcrowding, and other significant concerns. 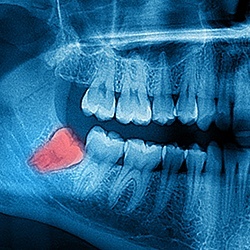 Our team will keep a close eye on this development, and if we determine that your overall oral health and wellbeing is threatened by one or more wisdom teeth, extraction may be recommended. Patients can rest assured that their extraction procedure will be handled as precisely and comfortably as possible. Sedation dentistry is available to help create an even more relaxed atmosphere if needed. 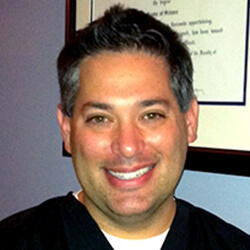 Part of Dr. Wagner's plan for ECCELLA was to have a periodontist as part of the team. This is a level of service that very few offices can provide in-house. A periodontist is a dentist who has received an additional two to three years of focused training. A periodontist specializes in all issues and surgical techniques pertaining to the gums, including gum disease therapy. Our licensed periodontist Dr. Brian Young can treat gum disease effectively right from our office. Dr. Wagner oversees all periodontal treatments, which is particularly important when planning detailed treatment plans with Dr. Young, ensuring your gums stay healthy for the long-term. Our primary goal is to provide you with the most effective, comfortable, and customized periodontal treatment in order to help you achieve optimal oral health.